Change materials and colors of your chests. 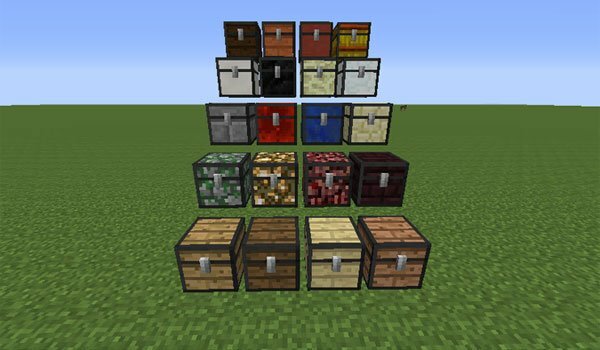 Chest Plus 1.7.2 is a mod that give us lots of options to customize the look of our chests. We may use the deafult sixteen coloring dyes to change the color of our chests. Although if you don’t feel satisfied with that, you can also change the material choosing whatever material you find in the game. 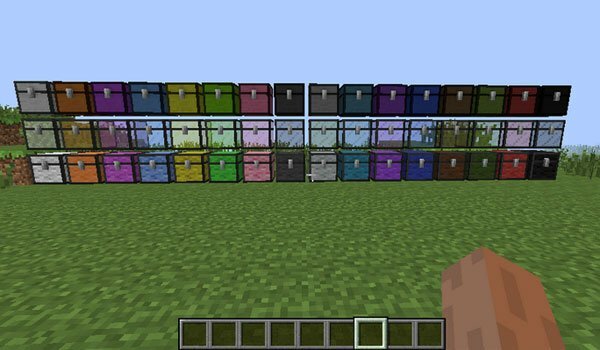 Finally we can craft glass chests, which can be dyed using various colors using dyes too. How to install Chest Plus Mod for Minecraft 1.7.2? New materials and colors to make our chests!